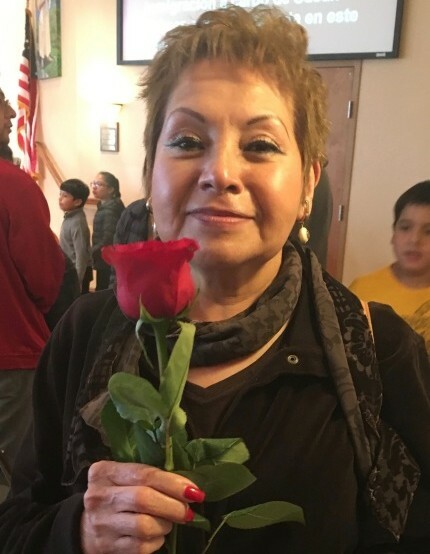 Maria Elena Garcia, 65, passed away peacefully on Thursday, March 21, 2019. Born in Atlixco, Puebla Mexico, she emigrated to America and was a lifelong resident of Union City. She worked for Barwil Industries in Jersey City for 25 years. She was the devoted daughter of Paula Cacique who passed away December 6, 2016. She will be remembered for her service to her family as she assisted many on their pathway to American citizenship by always providing guidance, love, and a place to stay. She was a devout Catholic and found peace attending St. Mary’s Church in Pompton Lakes, NJ. She was a friend to many and will be remembered by her beautiful spirit and willingness to lend a helping hand. Visitation will be held on Tuesday, March 26, 2019 from 5:00 p.m. to 9:00 p.m. at the Riotto Funeral Home & Cremation Co., 3205 Kennedy Blvd., Jersey City. (For GPS use 14 Stagg Street). Relatives and Friends are invited to attend the Funeral Mass on Wednesday, March 27, 2019 at 10:00 a.m. at St. Mary’s Church, 17 Pompton Ave., Pompton Lakes, NJ 07442. Cremation will follow privately.